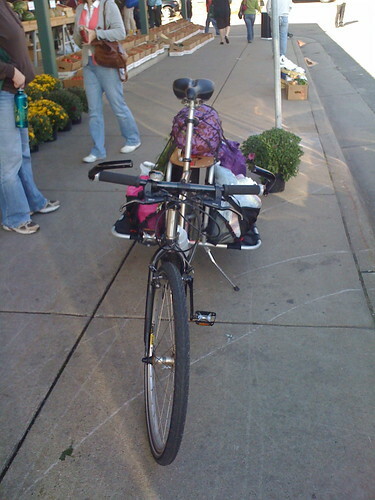 The Yoga Bike taking 45lb of veggies for pickling home from the farmer's market. The previous day it hauled 6 cases of canning jars home from the hardware store! First. Where are you Ant1?